Beidh cóisir ranganna againn ar an Déardaoin an 22/12/2016. Tá cead ag na páistí aon éadaí Nollag atá acu a chaitheamh -geansaí na Nollag, hata na Nollag srl má tá siad acu. Muna bhfuil ná bí buartha, is féidir gnath éadaí a chaitheamh. Tá cead ag na páistí milseáin a thógaint leo ar scoil. Tá cead acu bréagáin a thabhairt leo más maith leo ach mar is gnách níl cead na cinn ríomhairí ná dsi/ipad/itouch srl a bhreith leo. Má bhristear srl aon bréagáin ar scoil ní féidir linn a bheith freagrach astu. Mar is gnách ag deireadh téarma -Nollag, Cáisc agus Samhradh- beidh leath lá againn ar an Déardaoin -naí ranganna agus a dearthaireacha & deirfiúracha ag imeacht ar 12.00. Ranganna 1-6 12.15. Beidh páistí an bhus ag imeacht ag 12.00. Beidh an scoil ag ath-oscailt Dé Luain, an 9ú Eanáir 2017 ag 08.50. Guím Nollag faoi shéain is faoi mhaise daoibh! There will be class parties on Thursday 22/12/2016. The children may wear their ordinary clothes -any Christmas jumpers, hats etc they may have. If they don't have any Christmas gear don't worry at all, ordinary clothes will do. The children may bring sweets and a toy to school. As usual, electronic games, dsi/ipad/itouches etc are not allowed. The school cannot take responsibility for any toys broken or damaged etc in school. As with every end of term -Christmas, Easter and Summer- there will be a half day on Thursday. Infant classes and their brothers and sisters leaving at 12.00. 1-6th classes leaving at 12.15. The school bus will leave at 12.00. The school will reopen Monday 9th Jan 2017 at 08.50. Merry Christmas to you all! Faoistin i séipéal Naomh Eoin Baiste ag 7.30 i.n., Dé Luan an 19ú Nollag 2017. Confession in St. John's Parish Church at 7.30p.m., Monday 19th December 2017. 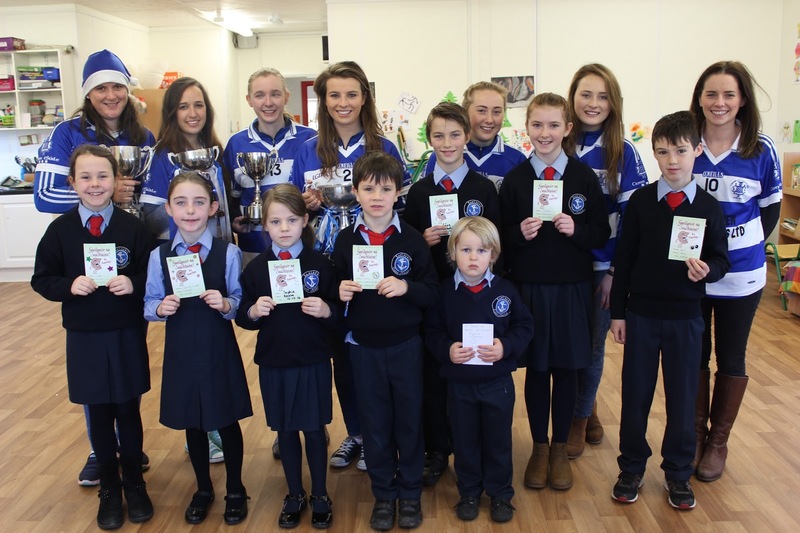 In aineoin gur lá spóirt é an Luan - DON LUAN SEO - an 19ú Nollag - an bhféadfadh gach páiste ó Rang 5 agus Rang 6 a néide scoile iomlán ceart a chaitheamh le haghaidh griangfafadóir ó nuachtán ag teacht chun tuairisc a scríobh ar an díolacháin cácaí a d'árdaigh €2,300 ar son Pobal Shiomóin. 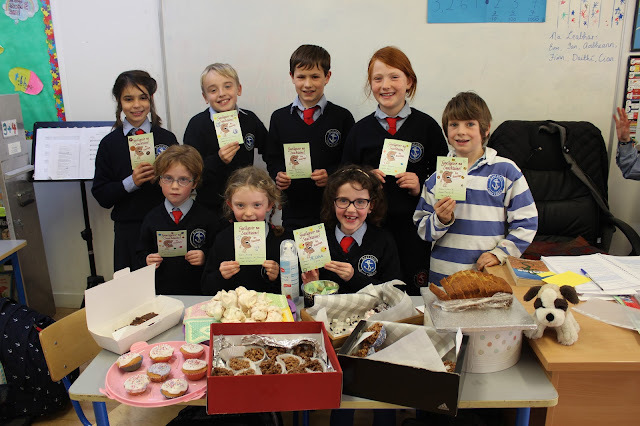 Even though Monday is a sports day - THIS MONDAY - 19th December - can every child in 5th and 6th Class wear their full, correct school uniform for a photographer from a newspaper who is coming to write a report on the cake sale that raised €2,300 for the Simon Community. Seans deirneach maidin amárach 16.12.2016 an 'Christmas Annual' a cheannach. Beidh an fear ó Folens ag bailliú na cinn breise ar a 12 a chlog. Last chance to buy the Christmas Annual tomorrow 16.12.2016. The man from Folens will be collecting what's left at midday. Tá dátaí socraithe againn dos na cruinnithe tuismitheoirí- múinteoirí. 'Siad an 17ú & an 19ú Eanáir 2017 na príomh dátaí a bheidh i gceist ann. Tosnóidh cruinnithe na naí-ranganna ar 1.45 na laethanta san agus na ranganna eile ag 2.45. Seolfar an t-am agus an data ceart abhaile chugaibh go luath i ndiaidh tosnú an téarma seo chugainn i Mí Eanáir. We have chosen the 17th and the 19th of January 2017 as the main dates for the parent-teacher meetings. The junior class meetings will begin at 1.45 on those dates and the other class meetings will start at 2.45. You will receive your time and date soon after we start back for the new term in January. Meabhrúchán faoin seirbhís cairiúil ar an Déardaoin an 15ú Nollag, 2016 i séipéal Naomh Eoin Baiste. Beidh ceoltóirí ag seinnt ann ó 17.10 chun fáilte a cur roimh gach éinne agus iad ag teacht isteach chun na séipéile. Iarraim ar gach pháiste a bheith ann ar 17.40 ar a dhéanaí ionas gur féidir leis an múinteoir iad a stiúrach roimh a thosnú ar 6.00 ar an bpoinnte. Tímíd go léoir ag tsnúth go mór leis an ócáid speisialta seo! 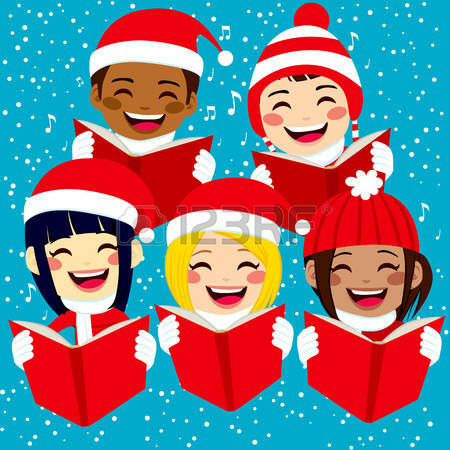 A gentle reminder about the Carol Service on Thursday evening 15/12/'16 in St John the Baptist church. There will be music playing to welcome you all to the church from 17.10. We ask that all children arrive at the church before 17.40 at the latest so that their teachers can guide them through what they need to do before the performances that will start at 18.00 sharp. We are all looking forward to this special occassion! Péire stocaí na Nollag a chaitheamh ar scoil amárach (09/12/2016) agus€2 an duine -nó mar sin de- don charthanacht CUH. 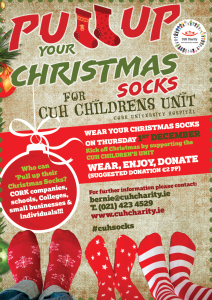 Wearing any pair of Christmassy socks to school tomorrow (09/12/2016) and a suggested donation of €2 -or however much or little you would like to donate- for the CUH children's unit charity. It's a bit of fun for the children and it's going for a great cause. 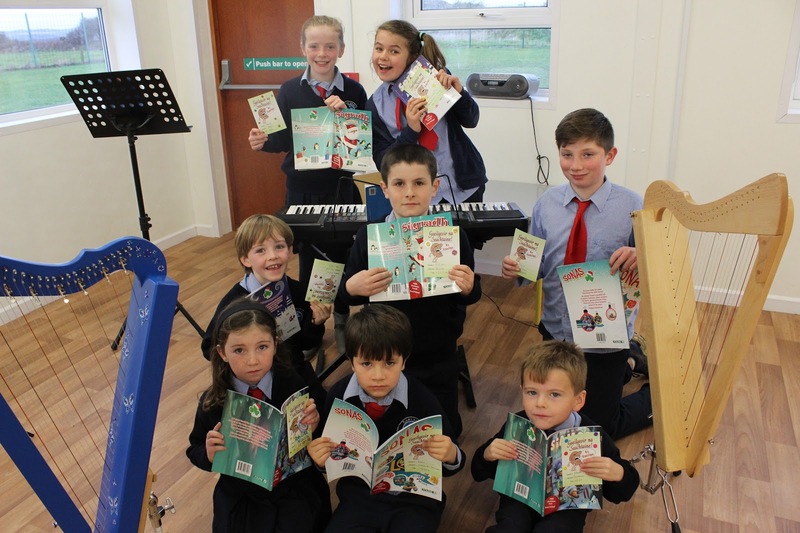 Beidh an bhanna cheoil ag cleachtadh amárach (2/12/2016) ar scoil. Tabhair leat d'uirlis (instrument) agus seastán má tá can agat (stand if you have one). Beidh Seirbhís na Nollag 2016 ar siúl ar an Déardaoin an 15ú Mí na Nollag ag a 6. Beidhmíd ag cleachtadh sa séipéal an tseachtain seo chugainn agus ar lá an tseirbhís. Teastaíonn uainn go mbeidh ranganna áraithe á thabhairt chuig an séipéal ag a 8.50 a.m. ar maidin. Déan a málaí scoile a thabhairt aníos ar scoil dóibh, le bhur dtola. Beidhmíd ag siúl aníos ag brath ar an aimsir. Beidh na ranganna eile ag siúl nó ag dul ar bhus síos agus aníos ón scoil. Tá na páistí ag obair go dian ar a chuid den tseirbhís. Táimid go léir ag súil go mór leis an oíche. The 2016 Christmas Service will be on Thursday, 15th December 2016, at 6pm. We will be practising in the church next week and on the day of the service. We want specific classes brought to the church at 8.50 a.m. on specific days (see below). Please bring their school bags up to the school for them. We will be walking back up to the school, weather permitting. The other classes will be walking or going by bus to and from the school later in the day on these dates too. The children are working hard to perfect their parts in the service. We are all really looking forward to the night. Táimíd chun páirt a ghlacadh in Pull Up Your Christmas Socks Appeal chun airgead a bhailiú do Aonad na bPáistí in CUH. An rud atá le déanamh ná péire stocaí na Nollag a fháil dod' pháiste -alán dóibh le fáil in Pennys, Tesco, Dunnes srl - go gcaitheadh na páistí ar scoil iad ar an Aoine an 9ú Nollag 2016 agus go dtabharfadh siad €2 an duine -nó mar sin de- isteach don charthanacht CUH. We have decided to support the CUH Charity Pull Up Your Christmas Socks Appeal to raise funds for the Children's Unit being built. All it involves is the children wearing any pair of Christmassy socks to school on Friday 9th of December 2016 -lots available in Pennys, Tesco & Dunnes for example- and bringing in a suggested donation of €2 -or however much or little you would like to donate- for the charity. It's a bit of fun for the children and it's going for a great cause. Féach ar an méad atá á bhailiú againn don raifil i gcomhair an Simon Community díolacháin cacaí ar an Aoine seo. Míle buíochas do gach duine a thug rudaí isteach faoi láthair. Mas bhfuil aon rudaí sa bhaile nach bhfuil á usáid agaibh bfhéidir go dtabhairfaidh sibh isteach sa scoil dúinn don raifil. Look at the amount of raffle prizes we have collected for the raffle at the cake sale and coffee morning Friday, 2nd December 2016 to raise money for the Cork Simon Community. Many thanks to all those people who have given us prizes already. If there are any things at home that you don't use and that would be suitable for a raffle prize please bring them into school. Bhaineamar ana shásamh as Seachtain Eolaíochta na hÉireann i mbliana. 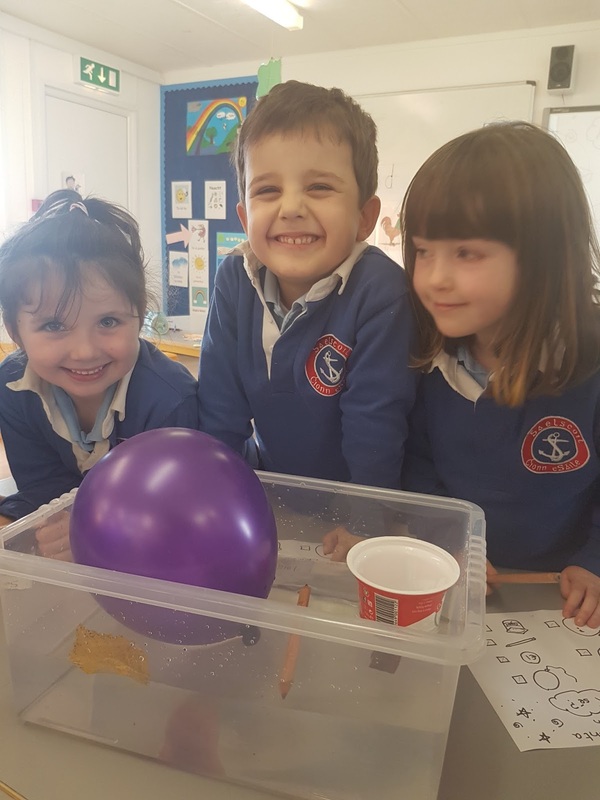 Rinne gach rang cúpla turgnamh breise agus tháinig an t-eolaí Siobhán Uí Doibhlín ó Hands on Science ar cuairt chuig rang a 1 agus rang a 2 chomh maith. Ár mbuíochas léi. 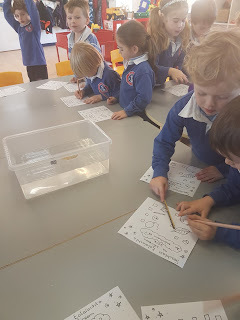 We had great fun during this year's Science week. Every class did extra science experiments. Siobhán Devlin from Hands on Science visited rang a 1 and rang a 2 and they had lots of fun investigating and experimenting. Our thanks to Siobhán Devlin. 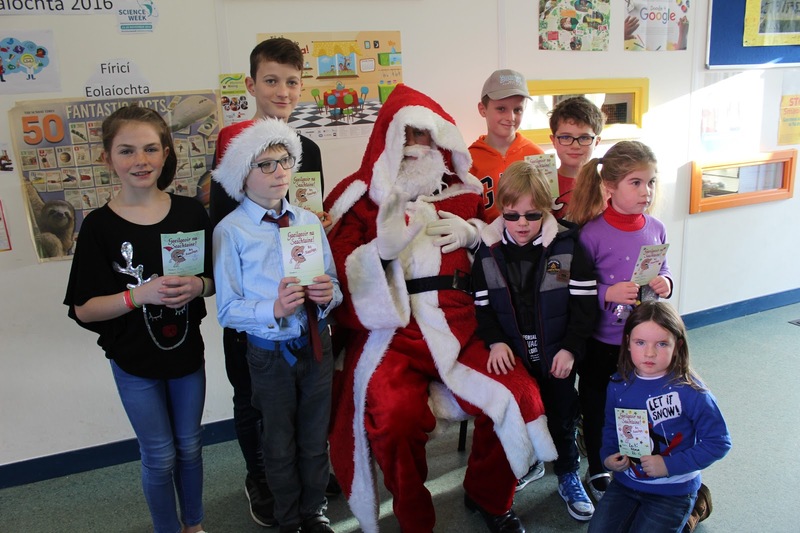 Má tá dvd ag teastáil uait ó Brendan Barry, téigh i dteagmháil (contact) le Eithne Mhic Ghiolla Phádraig mar tá sí ag seoladh ordú isteach (she is organising an order), roimh an Aoine seo chugainn 02/12/16. €20 an cheann. Beidh an banna ceoil ag cleachtadh (practicing) ar an gCéadaoin 23/11/16 i rith am scoile. Tá an bhanna ceoil oscailte de (open to) páistí ó Rang 3-Rang 6. Má tá suim ag do pháiste tabhair an uirlis (instrument) ar scoil ar an gCéadaoin. Níl ach méarchlár amháin (one keyboard) againn mar sin éinne a sheineann an méarchlár/pianó tá fáilte rompu an féadóg stáin a sheinnt. (welcome to play the tin whistle). 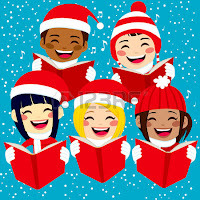 Táimid ag lorg páistí chun carúil(carol singing) a chanadh i Supervalue ar an Déardaoin 8ú Nollag 2016 ag a 18:00. Beimid ag bailiú airgead don scoil (fundraising). Má tá suim ag do pháiste beidh cleachtadh(practice) ar siúl ar scoil i rith am scoile Dé Céadaoin 23ú Samhain 2016. Beidh blitz peile faoi dhíon ag deichniúir cailíní ó Rang a 3 an Luan seo (21/11/2016) in Áth an Mhaide. Ag fágaint na scoile ag 12.30 agus ar ais ag a 3. Cosaint fiacla ag teastáil. There will be an indoor football blitz for 3rd class girls this Monday (21/11/2016) from 12.30-3.00 in Riverstick hall. Please bring gum shield. Má tá suim agat páirt a ghlacadh i bhFeis Maitiú 2017 (If you are interested in partaking in ..) seol an íocaíocht isteach chuig Hilda is líon an fhoirm san oifig (send in fee and fill in form before) roimh an Mháirt seo chugainn an 22/11/2016. Beimid ag cur isteach ar na dánta Gaeilge amháin ón scoil. ( Entering the Irish language Poetry section only). Tá costas 18 Euro ar an bpáiste má tá sé thar 10 mbliana is costas 16 Euro ar pháistí faoi 10 mbliana. 18 Euro per child over 10 years and 16 Euro for children under 10 years. There is a 10% reduction for families with 3 or more entries. 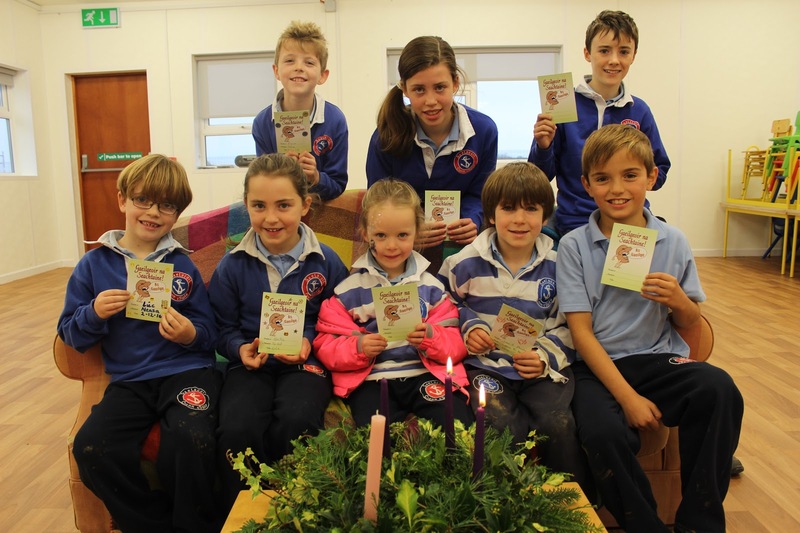 Beidh lá mór ag an nGaelscoil amárach 16.11.2016 i mBaile Átha Cliath agus tá deis agat a bheith páirteach ann ó Chionn tSáile! Beidh iar rang a 6 sa Helix amarach ag glacadh páirt sa Fís Film Festival 2016 lena scannán iontach 'Cúpla san Éirí Amach' bunaith ar imeachtaí 1916 . Ní gá ach dul ar suíomh Fís chun an ócáid a fheiscint ó 12 meán lae ar aghaidh. Féach an nasc thíos. Gaelscoil Chionn tSáile - Cúpla san Éirí Amach from FIS IADT on Vimeo. Ranganna Gaeilge ar siúl arís ag 7 anocht! 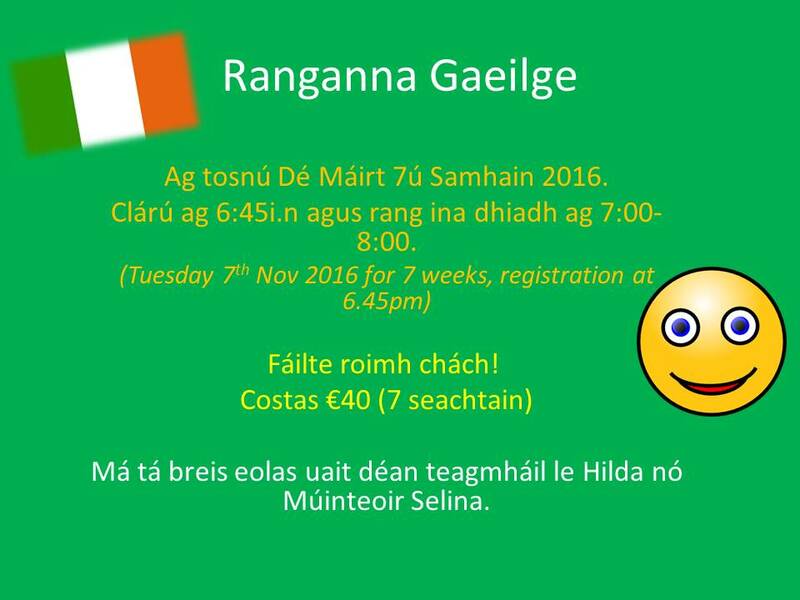 Irish classes continue tonight Tuesday 15th November 2016 at 7pm. Mar chuid de céiliúradh Seachtain Eolaíochta na hÉireann 2016, cuid den obair bhaile anocht ná féach ar an mórghealach anocht 14/11/16. Ní bheidh a leithéad arís ann go dtí 2034! 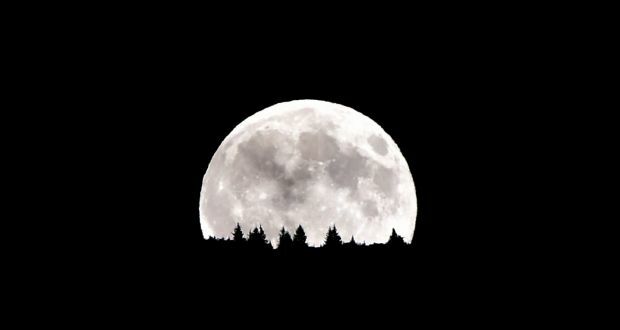 As part of our Science Week 2016 celebrations, tonight's homework is to take a look at the supermoon 14/11/16. There won't be another one until 2034! Ar fáil san oifig anois. €4 an ceann. Available in the office now. €4 each. 'Súgradh' - Junior and Senior Infants. Ag tosnú Dé Máirt 8ú Samhain 2016. Clárú ag 6:45i.n agus rang ina dhiadh ag 7:00-8:00. Má tá breis eolas uait déan teagmháil le Hilda nó Múinteoir Selina. Beidh páistí Rang 4+5 ag glacadh páirt sa chlár (programme) 'Friends for Life' (arís again this year) in mbliaina. Clár 'Anti-anxiety' atá ann. Plé (discuss) na bileoga (handouts) a thagann abhaile (come home) le do pháiste le bhur dtol. Míle buíochas as bhur dtacaíocht. 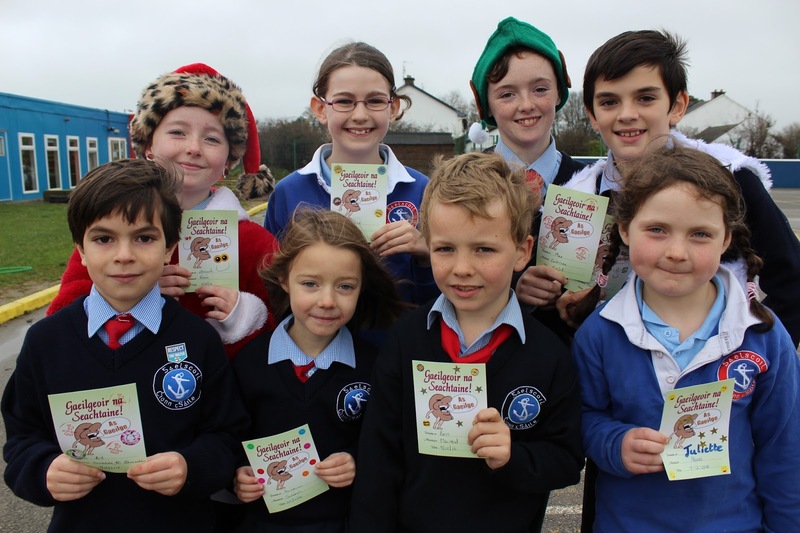 Beidh páistí Rang 4+5 ag glacadh páirt sa chlár 'Friends for Life' arís in mbliaina. Clár 'Anti-anxiety' atá ann. Plé na bileoga a thagann abhaile le do pháiste le bhur dtol. Míle buíochas as bhur dtacaíocht. 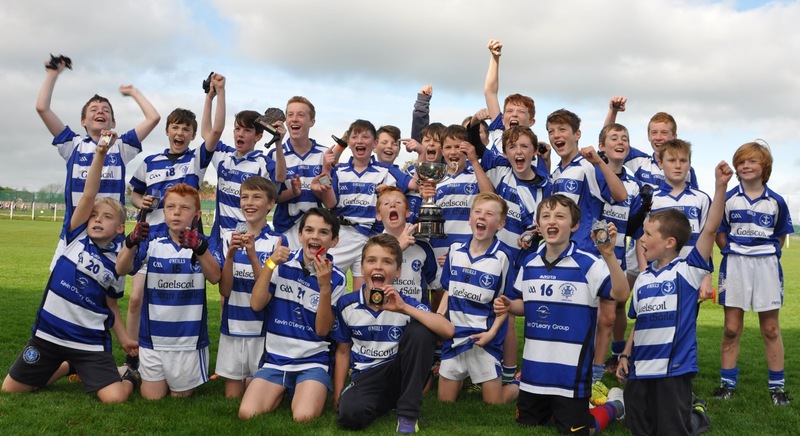 Comhghairdeas le buachaillí ranganna a 5 agus a 6 a bhuaigh cluiche ceannais sciath na scol inniu! 27/10/16. Ár mbuíochas leis an lucht tacaíochta (our thanks to the wonderful crowd of supporters and to Múinteoir Aodán) agus an bainisteoir múinteoir Aodán. EALAÍN/// SPÓIRT/// TÓRAÍOCHT TAISCE/// BACÁIL/// CLUICHÍ///SPRAOI!!! Am/Time: 09.30 a.m. -2.00 p.m.
Beidh dhá ghrúpa, sóisearach agus sinsearach. Ealaín agus spóirt (ag brath ar an aimsir) a bheidh i gceist, comh maith le bácáil, bac -chúrsa agus tóraíocht taisce. Fáilte rompu gléasadh suas ar an lá deirneach. There will be a junior group and a senior group. They will enjoy a range of activities each day, a variety of art, sport (weather dependent) such as basketball, rounders, soccer, GAA, obstacle course, playground games, as well as a treasure hunt, fancy dress and baking on one of the days. Junior-6th class pupils welcome, but spaces are limited. Tá briseadh mean téarma beagnach againn. Beidh an scoil dúnta an seachtain seo chugainn ón Luan 31/10/2016 go dtí an Aoine 04/11/2016. Beidh cead ag na páistí teacht ar scoil ina gculaith oíche shamhna amárach 28/10/2016 agus beidh am spraoi acu i rith an lae chomh maith. Beidh bailliúcháin i gcóir Enable Ireland (€2 an duine, má tá fonn orabh é a bhronnadh). Tá cead ag na páistí 2 rud milis a thógaint isteach leo. Críochnóidh an scoil ag na gnáthamanna 1.30 i.n. agus 2.30i.n. amárach. The mid term break is almost upon us. The school will be closed next week from Monday 31/10/2016 to Friday 04/11/2016. The children can dress up in their Halloween costumes and partake in some traditional Halloween games tomorrow, Friday 28/10/2016. There will be a collection for Enable Ireland (€2 per person, if you wish to donate). The children are allowed to bring in 2 sweet treats with them. Finishing times are as normal tomorrow, 1.30 and 2.30p.m. Lean an nasc seo chun Nuachtlitir na Samhna 2016 a léamh, le scéalta agus grianghraif ó gach rang. 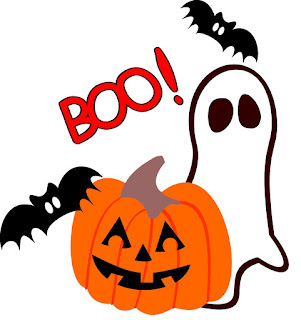 Please follow this link to view the school's Halloween News letter, with stories and photos from every class. Bhuaigh an scoil an duais don scoil is fearr ar an iomlán (21/10/16) don iarrratas a chuireamar isteach go dtí an Coiste na mBailte Slachtmhara, ag taispeáint an dea-oibre atá ar siúl ag na páistí leis an mbrat glas, óstán na bhfeithidí, i ngáirdín na scoile agus le bithéagsúlacht a fhorbairt i dtimpeallacht na scoile. Is mór an éacht é! 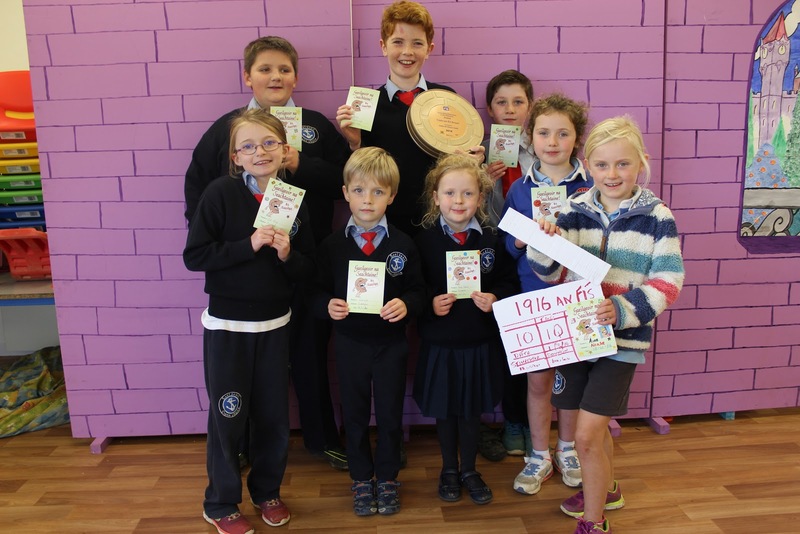 Gaelscoil Chionn tSáile have been awarded with the prize of 'best overall school' by the Kinsale Tidy Towns committee (21/10/16.) 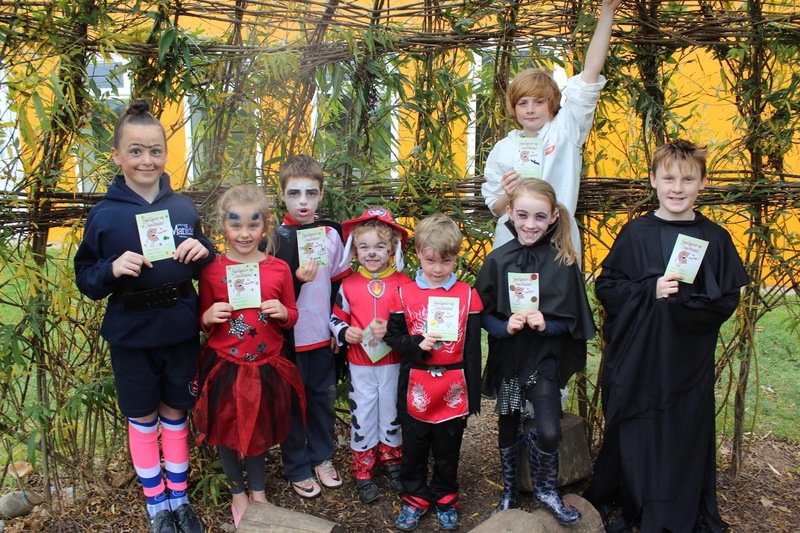 They are impressed with all the work the pupils have been doing to be environmentally friendly and promote biodiversity, through our green flag, the bug hotel, the willow dome and the school garden as well as many other projects. This award is a great achievement, well done to all involved. 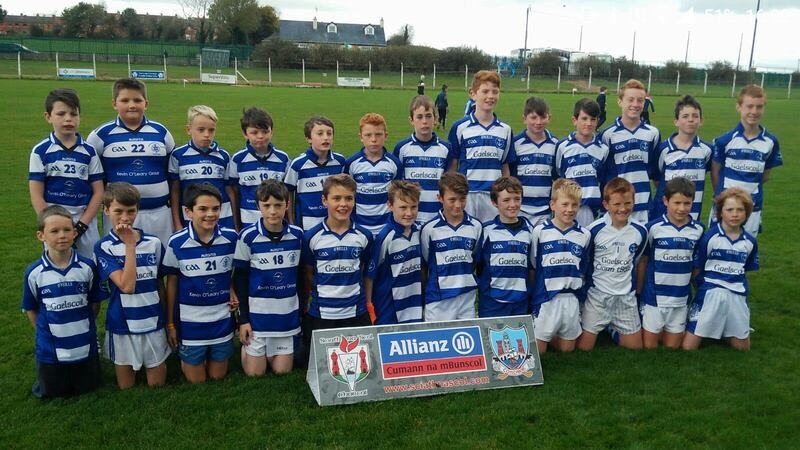 Beidh ranganna a 3- 6 buachaillí agus cailíní ag dul go dtí an chluiche ceannais ar an nDéardaoin, 27/10/16, chun tacaíocht a thabhairt. Foireann: Bus ag fágaint ag a 11.20. Ar ais ar scoil ag a 2.20. Beidh ar gach imreoir €3.00 a íoc chun praghas an bhus a chlúdú. Tá bhur gcead isteach saor in aisce. Lucht Tacaíochta (páistí) : Bus ag fágaint ag a 11.40. Ar ais ar scoil ag a 2.20. Beidh costas €5.00 an pháiste á bháiliú ag gach múinteoir chun cead isteach agus praghas an bhus a chlúdú agus cead isteach a chlúdú. Tá cead acu éide spóirt na scoile a chaitheamh ar an lá agus bratacha srl. beaga a thabhairt leo. Lucht Tacaíochta (tuismitheoirí): Beidh siad ag lorg €5.00 an duine cead isteach ag an ngeata. Beidh praghas €1.00 ar an gclár. Má tá sibh ag tógaint bhur bpáistí i ndiaidh an chluiche, le bhur dtoil, abair leis an múinteoir atá i bhfeighil ar an rang sin. 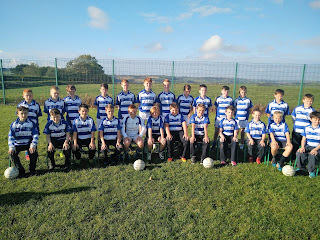 3rd-6th class boys and girls will be supporting the boys' football team Thursday 27/10/16 in Mayfield GAA at 12.45 V Knockavilla. Team: Leaving the school at 11.20am. Returning to school at 2.20pm. Players are asked to contribute €3 towards the price of the bus. Player's entry to match is free. Supporters (students 3rd-6th class): Leaving school at 11.40 am on a bus. Returning to school at 2.20pm. Each student are asked to pay €5 to cover the price of entry and bus. Please pay online or send in payment to the class teacher. Students can wear their sports clothes and are allowed to bring small flags etc. to show their support. Supporters (Parents): Entry is €5 for adults and €2 for any extra child you may be bringing along yourselves, to be paid at the gate of Mayfield GAA. Programmes are €1 each. 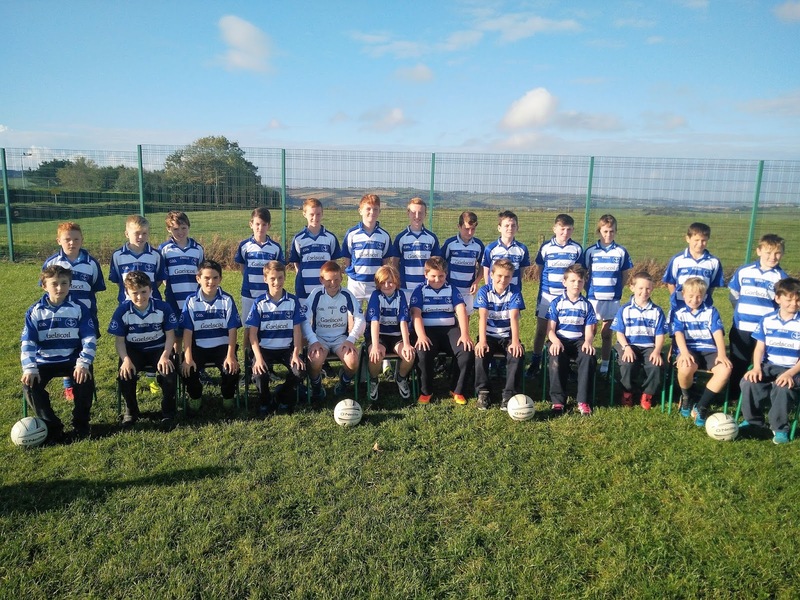 Sciath na Scol office have asked us to inform parents that all other match traffic will be directed to the car park across the road from the main pitch, up the road on the left. Access to the main pitch car park will be strictly prohibited.